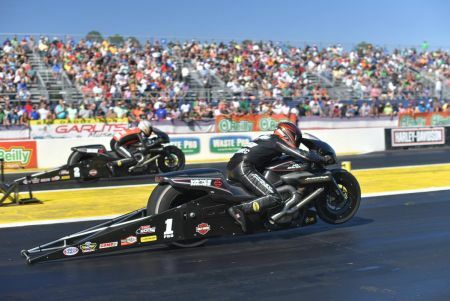 An all #Harley final between @AndrewHinesPSM and @EddieKrawiec at @NHRA GatorNationals this weekend. #EddieKrawiec won with a 6.824 second pass at 198.44 mph. #HarleyRacing #NHRA.